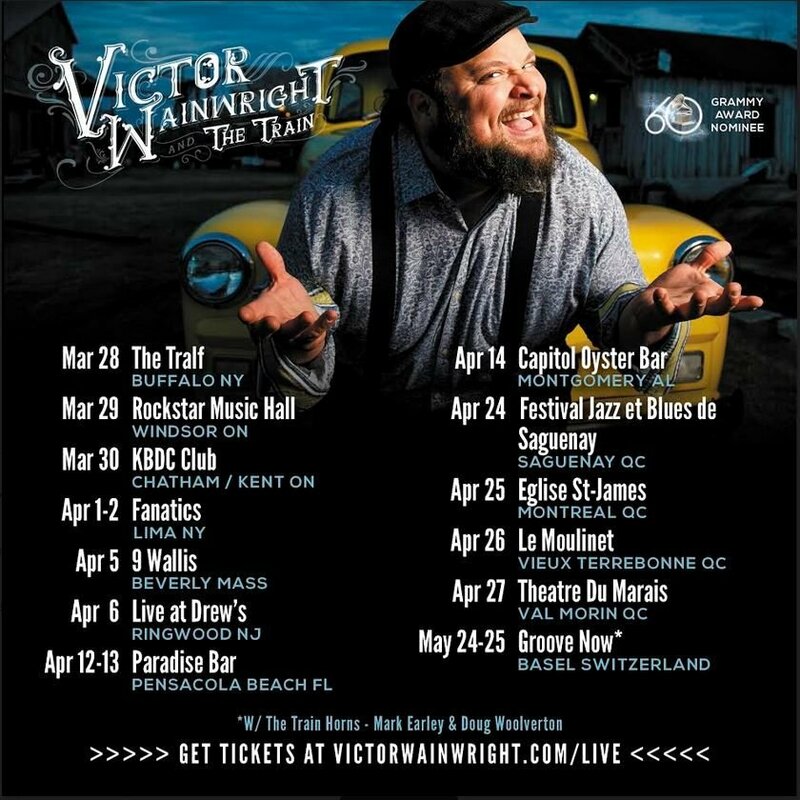 Hot on the heels of his 2019 Grammy Awards "Best Contemporary Blues Album" nomination, the 'Piana From Savannah' Victor Wainwright and the Train continue on Tour, with a local performance at Capitol Oyster Bar, 617 Shady St., Sunday, April 14. Showtime: 5:00pm. Tickets: $15. Info: (334) 239-8958 or visit http://www.capitoloysterbar.com. In addition to his Grammy nomination, Wainwright took home the Pinetop Perkins Piano Player Award at the 2018 Blues Music Awards in Memphis last May. The blues musician's virtual non-stop touring schedule includes a headlining slot at the famed three-day Big Blues Bender in Las Vegas, where he is confirmed to perform again this September. Rock & Blues Muse voted Victor Wainwright & The Train one of its "Top 20 Blues, Rock & Roots Albums of 2018" while Wainwright's album finished #1 on the respected Roots Music Report Top Contemporary Blues Album Chart for 2018.